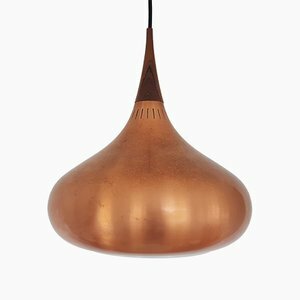 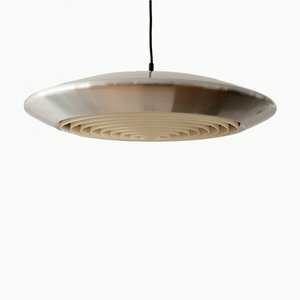 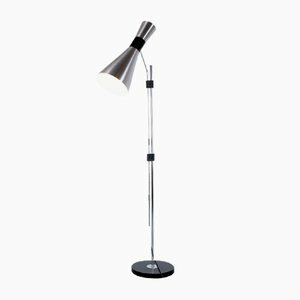 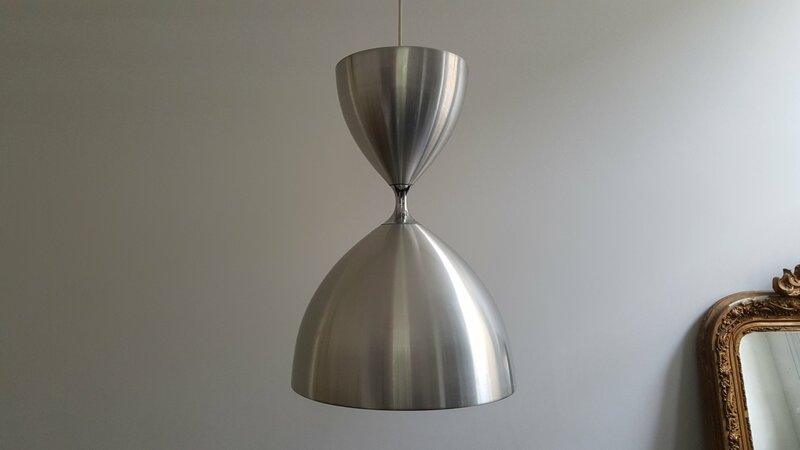 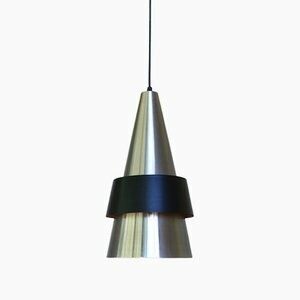 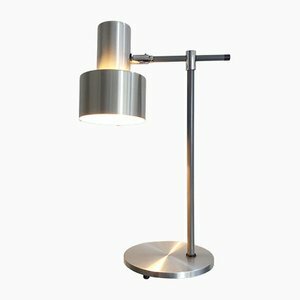 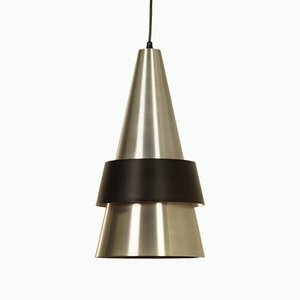 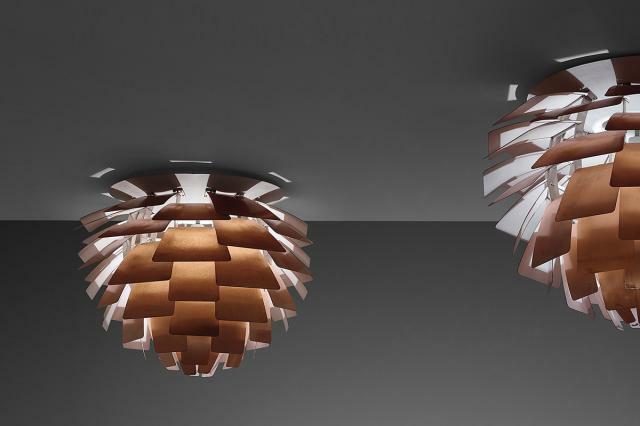 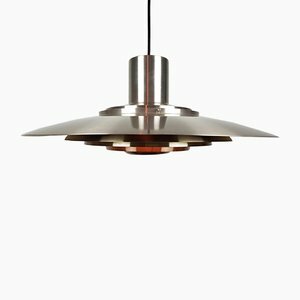 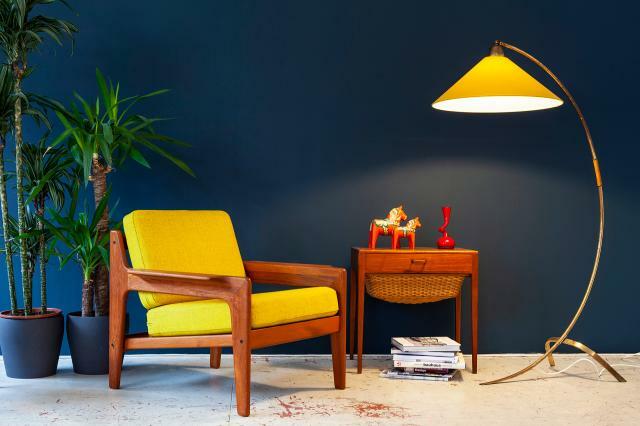 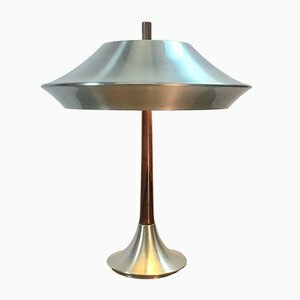 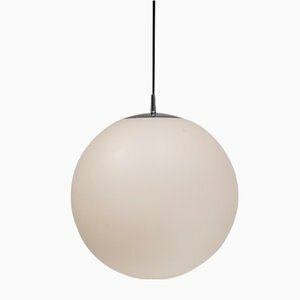 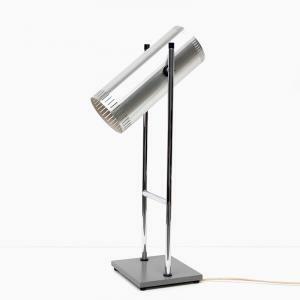 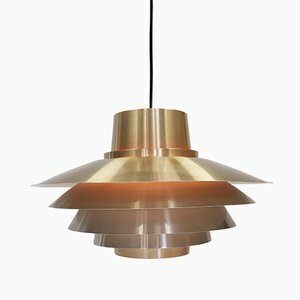 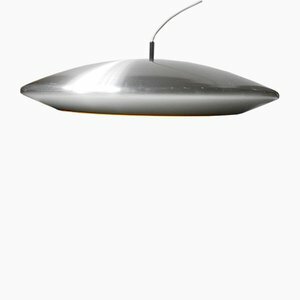 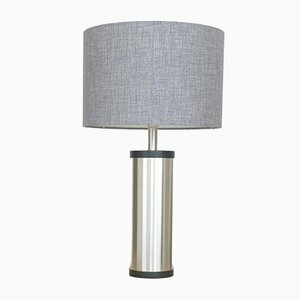 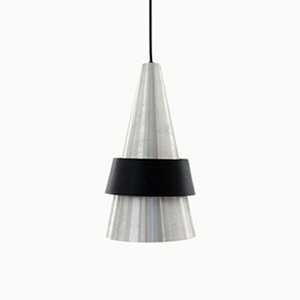 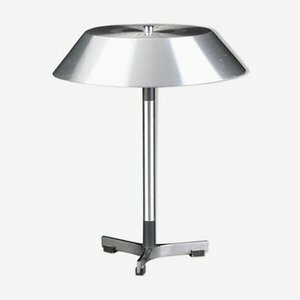 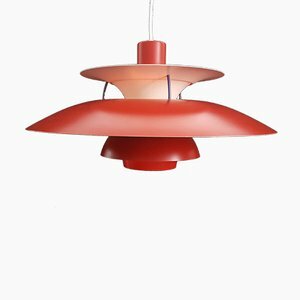 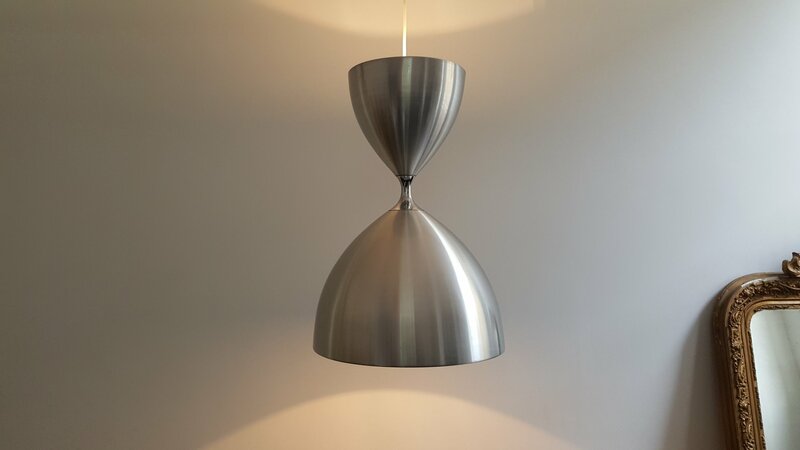 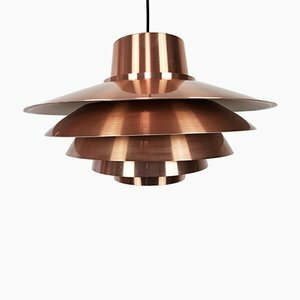 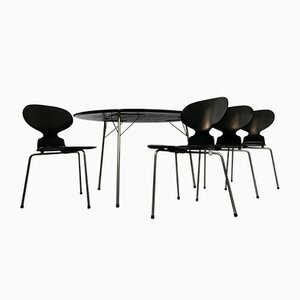 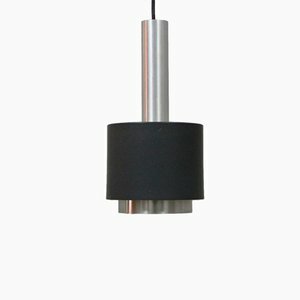 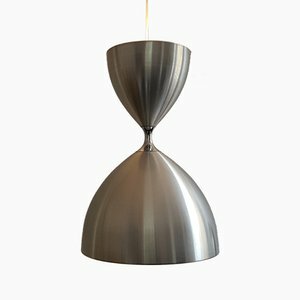 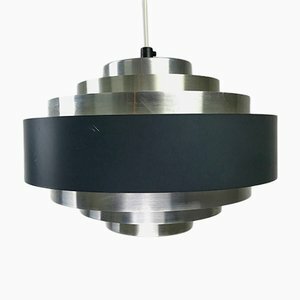 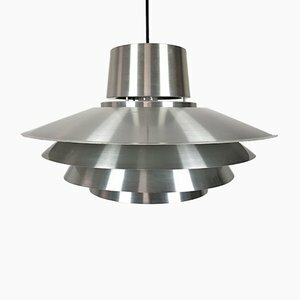 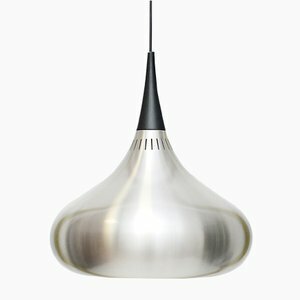 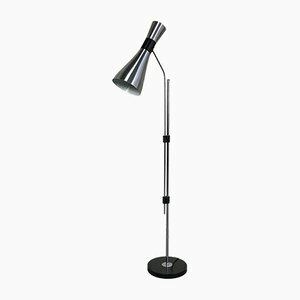 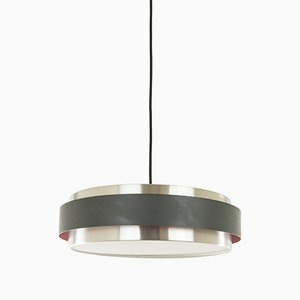 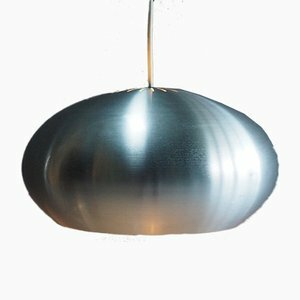 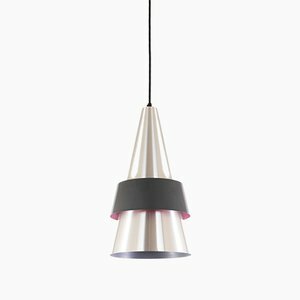 This aluminium Vega ceiling pendant light was designed by Jo Hammerborg for Fog & Mørup, Denmark in the 1960s. 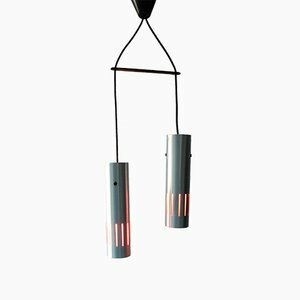 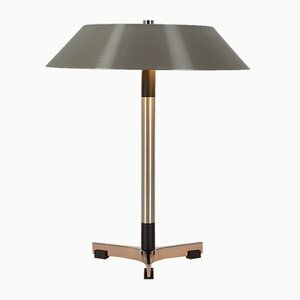 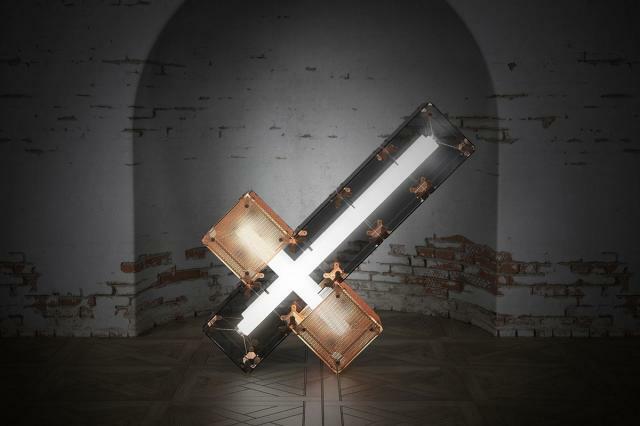 It features both an up lighter and a down lighter. 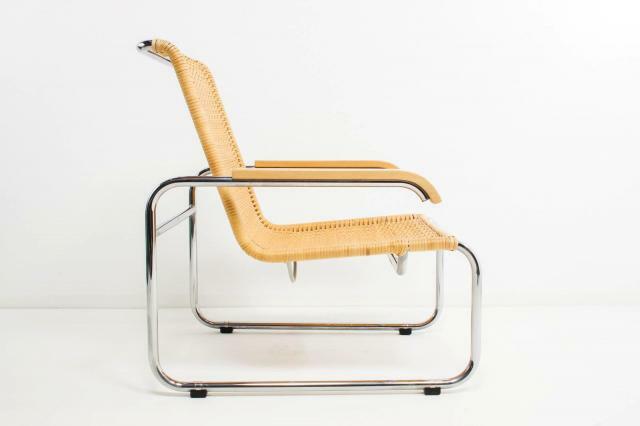 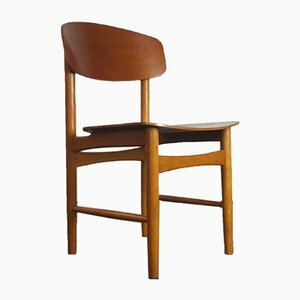 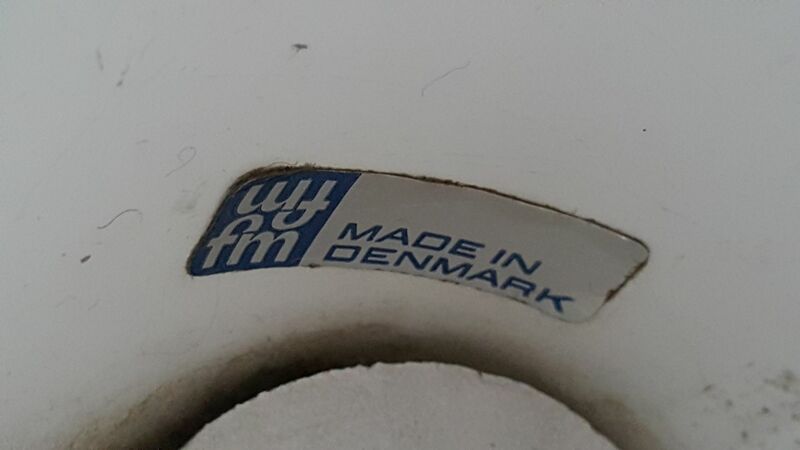 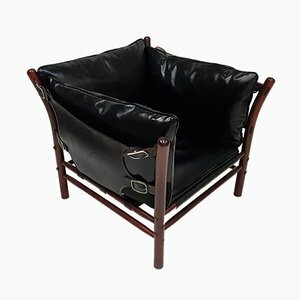 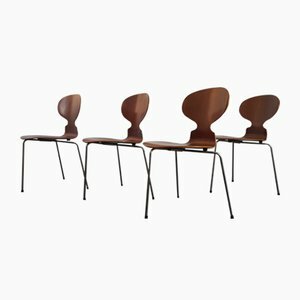 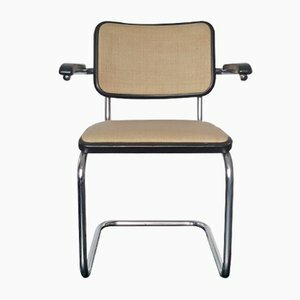 Medium wear, a couple of small dents and distortions, and a few scratches.